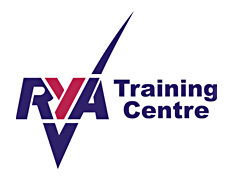 2.1 The regatta will be governed by the Racing Rules of Sailing, the RYA prescriptions and the rules of the Laser Class Association. 2.2 The Trimpley S.C. Sailing Instructions will apply except as stated in any supplementary Sailing Instructions. 2.3 The event is designated Category C.
2.4 Competitors will be required to wear adequate personal buoyancy at all times whilst afloat – except briefly while changing or adjusting clothing or personal equipment. Wet suits and dry suits are not personal flotation devices. This changes Rule 40 and the preamble to Part 4. 3.2 Registration/Entries may be accepted up to 15 minutes before the first start. 6.1 Courses will be set by the Race Officer and displayed on the main Race hut. 10.1 Catering is available in the clubhouse. 10.3 Entrants and authorized guests are temporary members of Trimpley Sailing Club during the period of the event and shall comply with Club Rules and Bylaws. Failure to observe these rules may result in the imposition of penalties, including disqualification from the event.